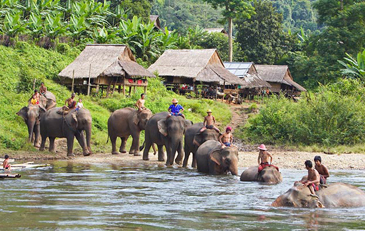 "Thailand's great appeal as a holiday destination is that it is so different from other places. 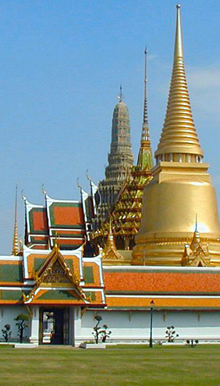 Thailand possesses a wealth of architecture, culture, cuisine and traditions that are each distinctively Thai. Moreover, with their natural charm, hospitality and happy temperament, Thais are supremely adept at making visitors feel at home,"said the director of Thailand Authority of Tourism to Seoul in a special interview with The Seoul Times. 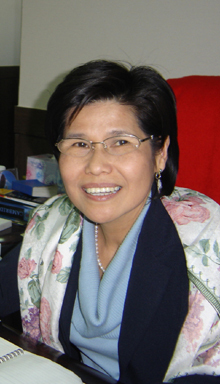 Ms.Sasi-Apha Sukontarat also said that she wants to encourage more South Koreans to visit "the Land of smiles." The following are questions and answers during her recent interview with The Seoul Times. Q1: Will you explain about TAT Seoul Office? basic mission and its performance? When was it established? A1: Since 1990, the Tourism Authority of Thailand (TAT) in Seoul is dedicated to the development of sustainable tourism of Thailand's many resources, its astounding natural beauty and rich culture can, with correct management, benefit our country for a great many years to come. There are many reasons why a Thailand holiday appeals over other destinations, not least of which is the friendly, peace-loving nature of the Thai people. However, a significant part of TAT Seoul Office success lies in the cooperation between socio-cultural, economical, and as well as the tourism mentality of Korean and Thai people. We are not in here for only our benefit but we w! ant to say that tourism is the passport to peace. From Thailand's extraordinarily skilled craftsmen to the One Tambon (village) One Products (OTOP) project, Thai skills weave tradition into a fine and beautiful collection of products using an array of unique local materials presenting applied ingenuity as well as reflecting an ancient heritage and local inspiration. Q2: I understand you don't even want to recall the aftermath of December's tsunami in Thailand and its effect on your tourism industry. But how successful are your efforts for restoration and recovery for the tourism industry? A2: Around ten percent of Phuket had been damaged due to the tsunami. But a few weeks after the tsunami, Phuket and Andaman regions are on the road to a quick recovery. Right now Phuket is a hundred percent same as before. Most of the hotels and services resumed normal operations. 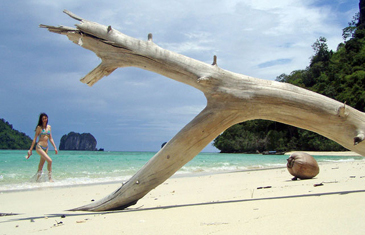 Tourist attractions and the coral reefs had a little destruction; people in Phuket and Andaman region are ready to welcome the tourists again.The crisis has presented a unique opportunity for the Thai tourism industry to embark on systematic and integrated tourism development in the affected areas. 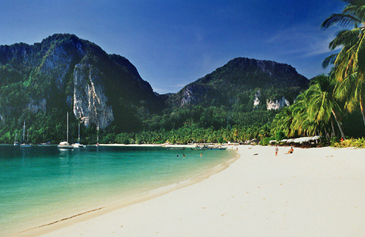 Ko Phi Phi is an idyllic island in the Andaman Sea, between Phuket & Krabi in southern Thailand. To achieve a rapid turnaround and the speedy recovery of affected areas, the Tourism Authority of Thailand (TAT) has embarked on plans to restore the confidence of domestic and international travelers. This is being achieved through the re-positioning of the six provinces of Thailand's Andama! n coast affected by the recent Tsunami namely ?Phuket, Krabi, Phang-nga, Trang, Ranong and Satun, and supported by the launch of a pro-active and sustained advertising and public relations campaign designed to inspire the confidence of domestic as well as international travelers. Q3: Do you think that last year's tsunami can still have some effects on your tourism industry this year, even if a little bit? Do you have any special plans for this year? Nail Island, James Bond Island (after the movie, "The Man with the Golden Gun," which was filmed here in the 1960's). — Family trips for media personalities and travel agents to Ph! uket are underway so that they come to know what's the present situation in Phuket and other tourist destinations in Thailand. — Re-launch Phuket and the Andaman destinations under new campaign themes at the Thailand Travel Mart in June 2005. — Organize Agent Educational Trips for overseas travel and tour operators under the new Andaman Smiles campaign theme in an effort to encourage travel to Thailand. — While destinations around Thailand will be promoted at international travel trade shows such as the World Travel Mart, Phuket and other treasures of the Andaman will enjoy star-billing status and will be granted increased visibility. — Organize road shows to key markets, especially Europe, where the impact on travelers and tourists has been most deeply felt. — Work with private sector tourism operators in Thailand to jointly develop unique promotional activities and special incentive offers to encourage travel to the ! affected areas hit by the recent tsunami. — Adopt a soft-sell approach in markets where the impact of the incident is most greatly felt by promoting a range of special interest products and alternative destinations. 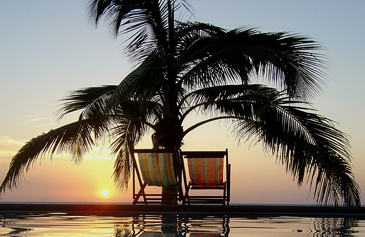 in close cooperation with the travel trade to launch more aggressive hard-sell promotions. — Promote travel to Thailand during the Green Season targeting specific areas such as Oceania, Spain and countries in the Middle East. Q4: Many Korean people went on overseas trips during this year's unusually long Lunar New Year. Normally, Thailand is a fascinating travel destination for South Koreans. How many of them visited your country during the holidays? A4: In my opinion, Koreans don't travel abroad a lot during national holidays. They are more likely to go back home and stay with their family for get-togethers and homely activities. Q5: I heard that Phuket is hugely popular amongst Koreans, particularly newly wed couples on their honeymoon. How many Koreans visited Phuket last year and do you have any plans for attracting more Korean honeymooners? A5: The number of Koreans traveling to Thailand last year was 850,000 and among them 144,770 people went to ! Phuket. And our special plans for honeymooners is to promote rooms, air tickets and other options. Q6: Among popular tour destinations, which do you think is the most popular one in your country and why do you think so? A6: Traffic and tranquility, beaches and bargains, rural roads, ancient palaces and stunning temples: Thailand has much to offer anyone from the casual visitor in search of affordable luxury to the rugged backpacker hoping to get off the track. 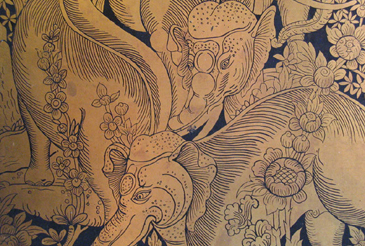 What brings visitors back time and again is the allure of the ephemeral; seemingly spontaneous festivals, chance meetings and whimsical moments in an unpredictable land of ancient culture and elusive wisdom.There are so many beautiful places in Thailand like Phuket, Pattaya, Bangkok, Hua Hin, Ko Chang, and Chiang Mai. 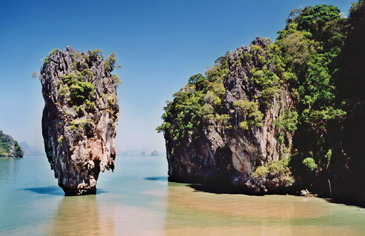 Among them, Phuket is pecially noted for honeymooners. Every place has some different notable identities like Hua Hin for its fame of Royal Resorts, which offer special summer programs for the entire family. Pattaya is the city of entertainment; Ko Chang bears the Name of Elephant Island where people can enjoy relaxing in nature while Chiang Mai is a good place for trekking and golf courses. Q7: From which country the most number of foreign travelers visit your country. Could you give me basic statistics regarding this? Q8: Tell me your relations with Orient Thai Airlines. Could you specify your connections with the airline company? Do you have other partnerships with other airlines including foreign airlines? A8: We have a good relationship with Orient Thai Airlines for promoting our tourism. Very recently, we have organized an exotic trip! to Phuket with them. These days they are offering one free ticket for buying every two tickets to Phuket. Besides this, we have a good relation with Korean Air and Asiana Airlines. Coming March 27, 2005, both Korean airlines will recommence flights from Incheon to Phuket twice a week. Q9: How long have you been serving as TAT director for the Seoul office? What do you think is the most important thing you want to do during your directorship here in Seoul? A9: February 8, 2005 marks my first anniversary here in Korea. And in my remaining three years I wo! uld like to introduce more socio-cultural activities of Thailand in Korea. To tell you the truth, I am trying to learn more Korean Language. Q10: What are the best and worst things about Korea or Korean people? What are your hobbies here in Seoul? Do you have family here in Seoul? A10: I heartily appreciate Koreans hard working mentality and their respect to seniors and colleagues. But I was surprised to see people fighting in the streets. I like to hear soft music when I get some leisure time. I am a mother of two sons. My eldest son is going to study the Korean Language here in Seoul while my youngest is now studying in a university in Bangkok and my husband is also working at TAT office in Thailand.